Doug Gilmour is a former OHL, NLA and NHL hockey player and current manager of the OHL Kingston Frontenacs. During his playing career Gilmour played in the OHL for the Cornwall Royals from 1981-1983. After that Gilmour played in the NHL for the St. Louis Blues from 1983-1988, the Calgary Flames from 1988-1992 and the Toronto Maple Leafs from 1991-1997. In the 1994-1995 season Gilmour also played in the NLA for the Rapperswil-Jona Lakers. Gilmour played for the NHL for the remainder of his career for the New Jersey Devils from 1996-1997, the Chicago Blackhawks from 1998-2000, the Buffalo Sabres from 1999-2001, the Montreal Canadiens from 2001-2003 and the Toronto Maple Leafs again from 2002-2003. Gilmour is a Stanley Cup winner for 1981. Sports Speakers 360 is a booking agent for pro athletes. 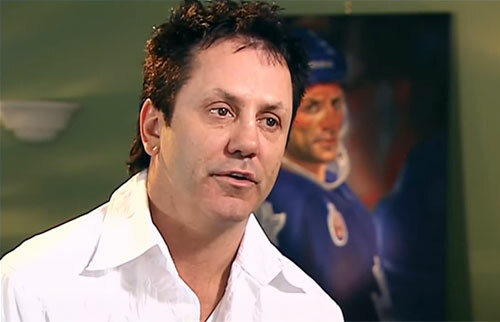 If you would like to book Doug Gilmour for a speaking engagement, appearance or endorsement, contact a Doug Gilmour booking agent for fees at 1.855.303.5450.